I would like to thank you again for the behavioral training on Abby, my Doberman. She is not my first Dobe but a hard headed one with lots of energy. She was a jumper and did not listen well. Michael cured Abby of her bad habits and introduced us to the remote collar training, which works real well. I would recommend this and Michael to anybody that is in need of excellent training. Abby was just thrilled to see him when he came for training. Abby is a much better dog and we have a much happier home because of Michael. Thanks again and we wish you well. 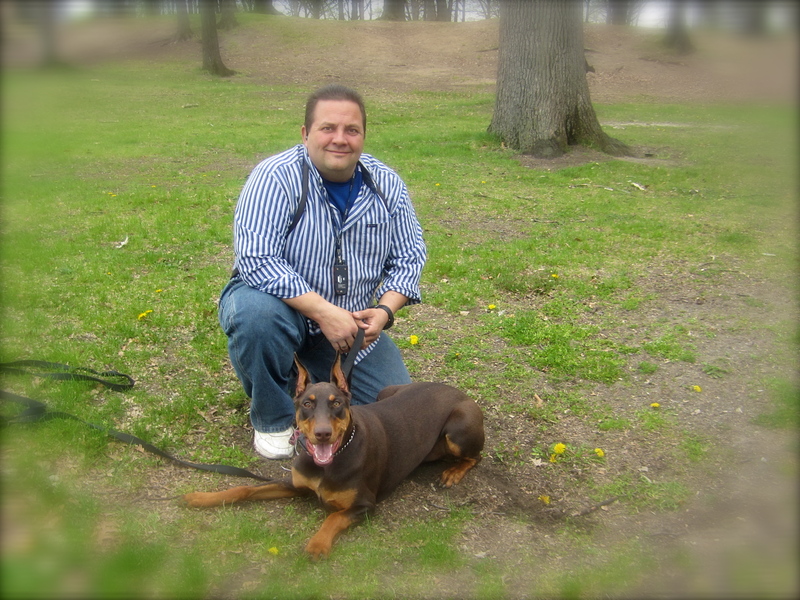 This entry was posted in Remote Training Collar, Testimonials & Case Reviews and tagged behavioral dog training, behavioral training, day training, Doberman Pinscher, dog, dog testimonial, dog training, ecollar, in home training, michael burkey, Pet, remote collar, shock collar, Training. Bookmark the permalink.